Abandoned by Aborigines a few thousand years ago, Kangaroo Island attracts over 140,000 visitors each year. Start off your visit on the 20th (Mon): identify plant and animal life at Flinders Chase National Park. 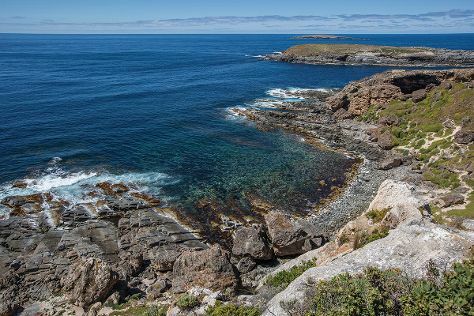 To see ratings, other places to visit, maps, and other tourist information, read our Kangaroo Island trip website . New Delhi, India to Kangaroo Island is an approximately 20-hour combination of flight and taxi. Traveling from New Delhi to Kangaroo Island, you'll lose 4 hours due to the time zone difference. Finish up your sightseeing early on the 20th (Mon) so you can travel to Sydney. 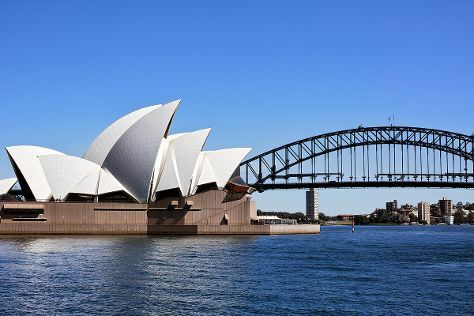 Start off your visit on the 21st (Tue): stroll through Bondi to Coogee Beach Coastal Walk, then kick back and relax at Bondi Beach, then hike along The Opera House to the Botanic Gardens Walk, and finally catch a live performance at Sydney Opera House. On the next day, explore the striking landscape of Sydney Harbour National Park. To find reviews, traveler tips, maps, and tourist information, refer to the Sydney journey planning site . Traveling by combination of taxi and flight from Kangaroo Island to Sydney takes 5.5 hours. Alternatively, you can do a combination of car and ferry; or do a combination of taxi, ferry, bus, and train. In May, plan for daily highs up to 24°C, and evening lows to 14°C. Wrap up your sightseeing on the 22nd (Wed) to allow time to travel to Gold Coast. A city of towering skyscrapers, sandy beaches, and tree-lined streets, Gold Coast has an unpretentious air complemented by a citywide focus on sports and the arts. Kick off your visit on the 23rd (Thu): laugh and play at Sea World Theme Park and then find something for the whole family at Infinity Attraction. Take the guesswork out of planning a Gold Coast vacation by using our trip itinerary maker. Fly from Sydney to Gold Coast in 3.5 hours. Alternatively, you can do a combination of flight and train; or drive. In May, daytime highs in Gold Coast are 27°C, while nighttime lows are 15°C. Finish your sightseeing early on the 23rd (Thu) so you can travel to Port Douglas. On the 24th (Fri), get a new perspective on things with Boat Tours & Water Sports. To see other places to visit, traveler tips, and other tourist information, you can read our Port Douglas day trip planning tool . Traveling by combination of flight and shuttle from Gold Coast to Port Douglas takes 6 hours. Alternatively, you can do a combination of train, flight, and shuttle; or drive. Traveling from Gold Coast in May, things will get a bit warmer in Port Douglas: highs are around 32°C and lows about 24°C. Wrap up your sightseeing on the 24th (Fri) to allow time to drive to Cairns. Start off your visit on the 25th (Sat): discover the deep blue sea with a scuba or snorkeling tour. 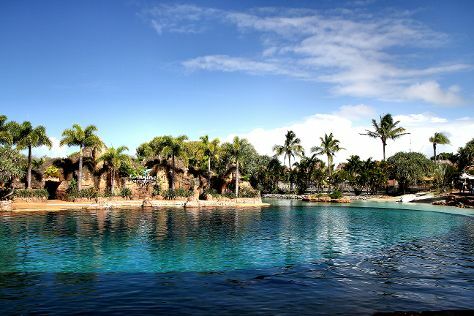 To see reviews, other places to visit, maps, and more tourist information, read Cairns online driving holiday planner . Drive from Port Douglas to Cairns in 1.5 hours. Alternatively, you can take a bus; or take a shuttle. In May, plan for daily highs up to 32°C, and evening lows to 24°C. On the 26th (Sun), wrap the sightseeing up by early afternoon so you can travel back home.